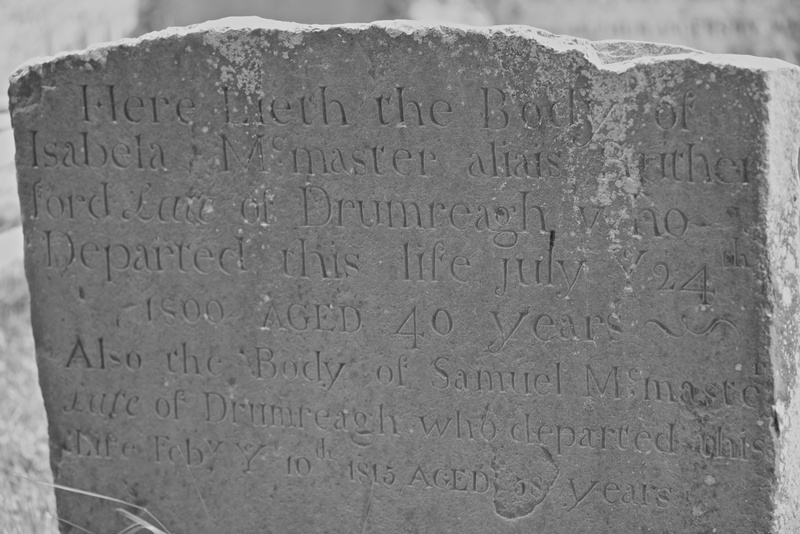 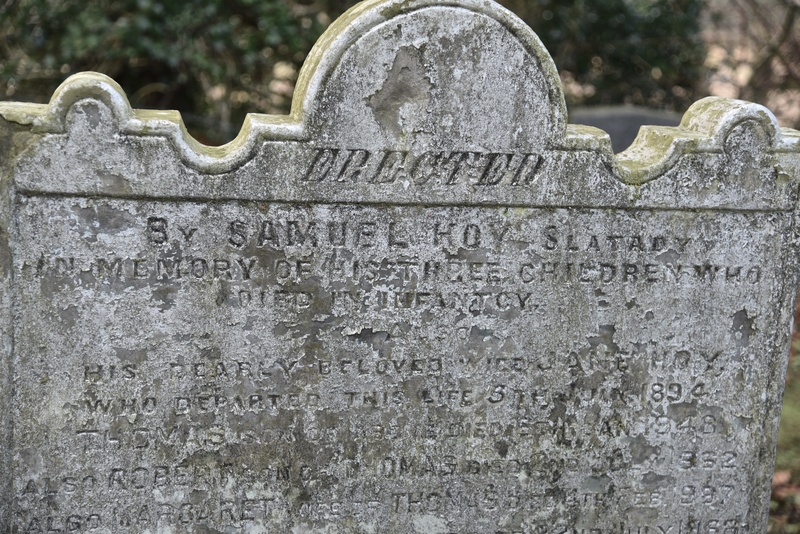 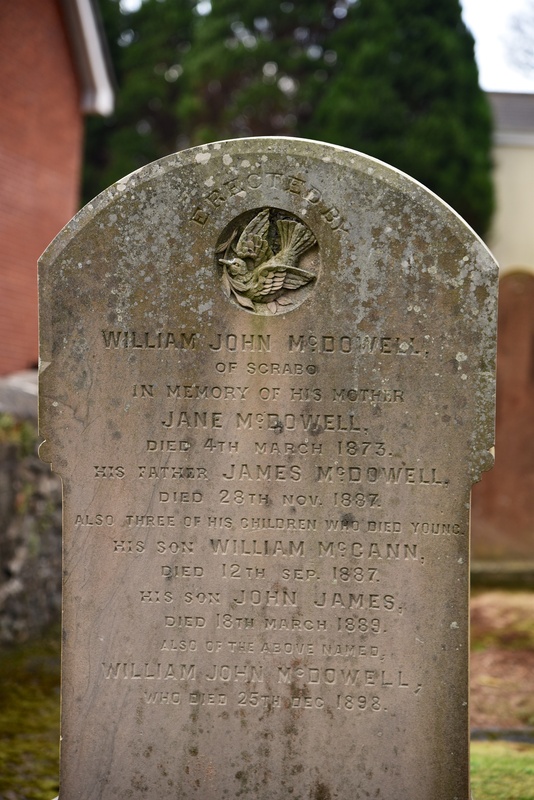 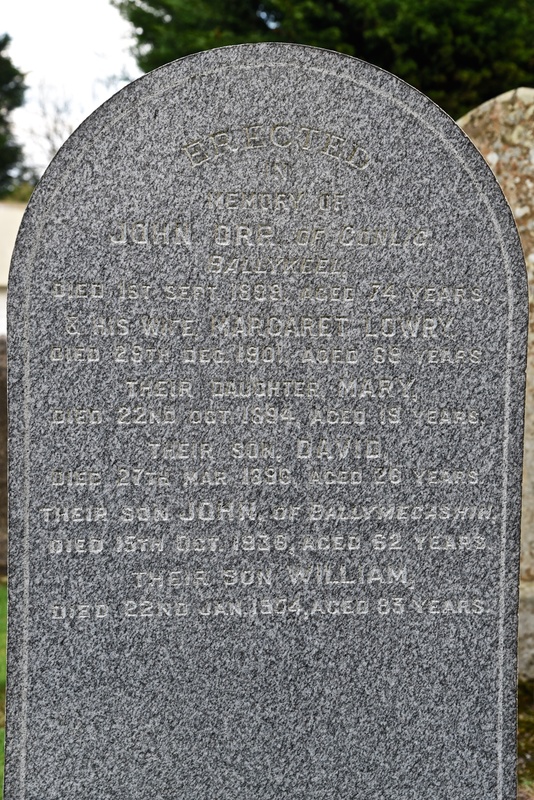 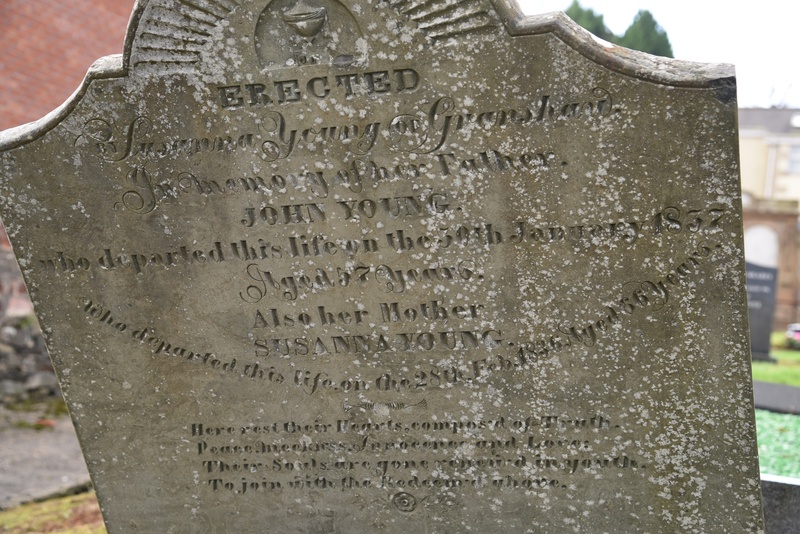 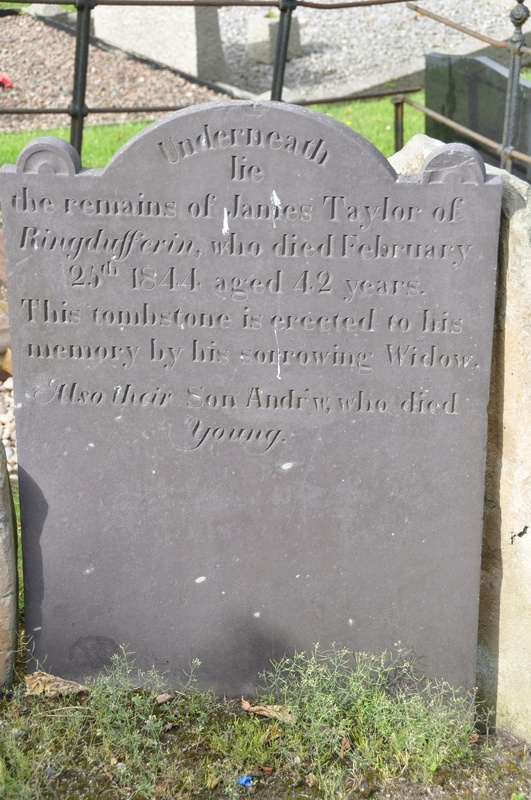 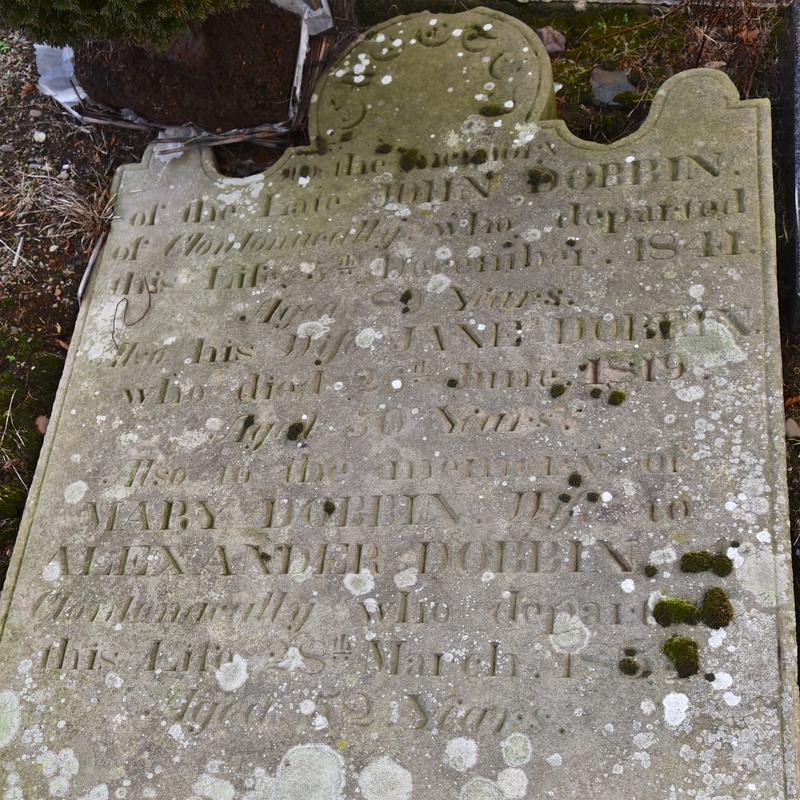 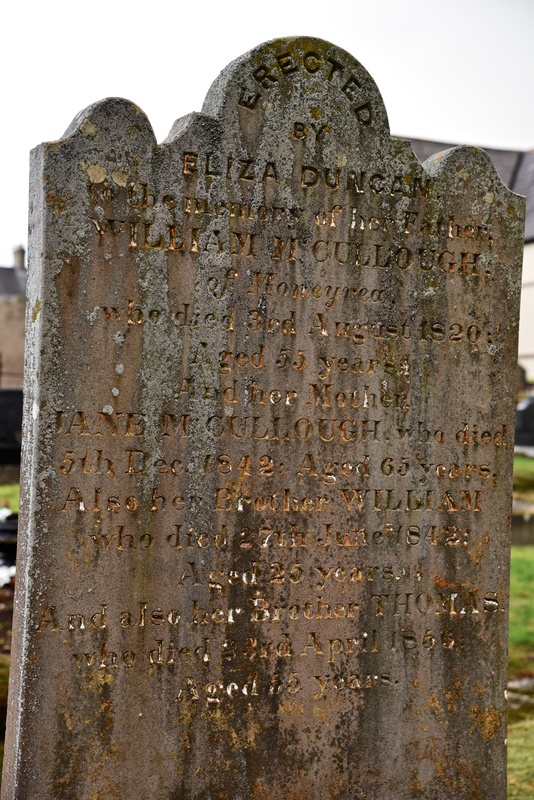 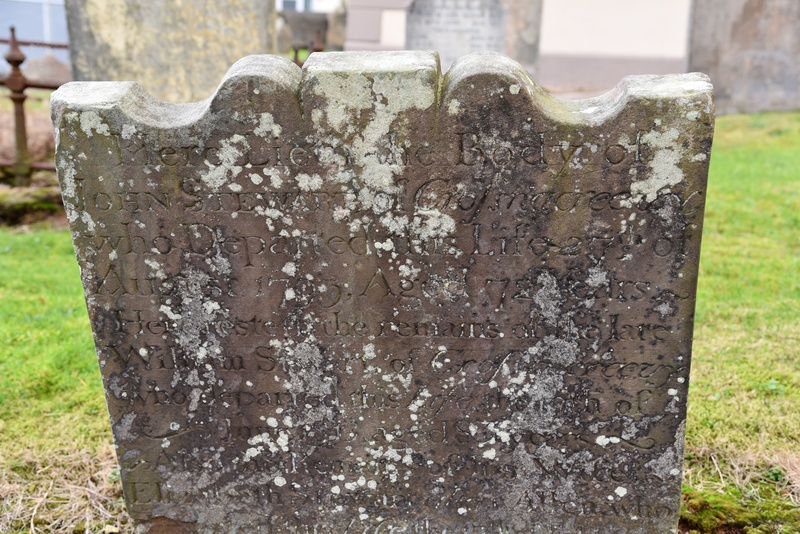 A gravestone in Killinchy for the Crickard family of Ballybundon (now Kilmood & Ballybunden). 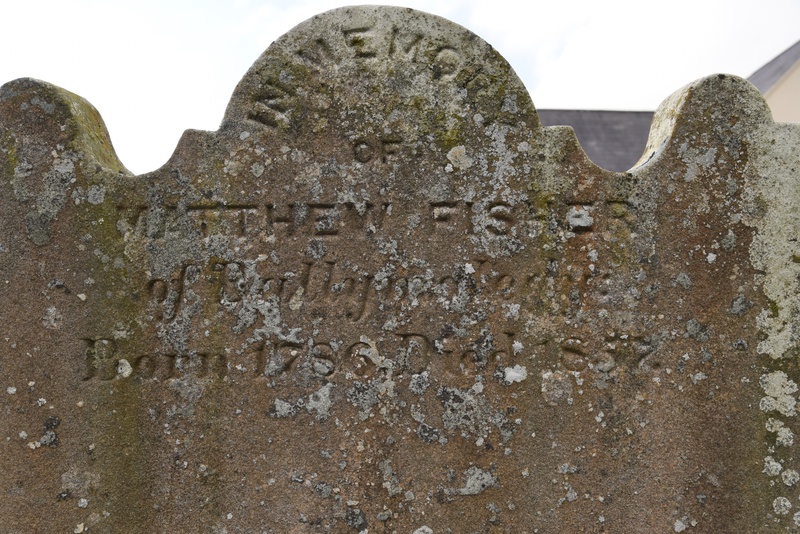 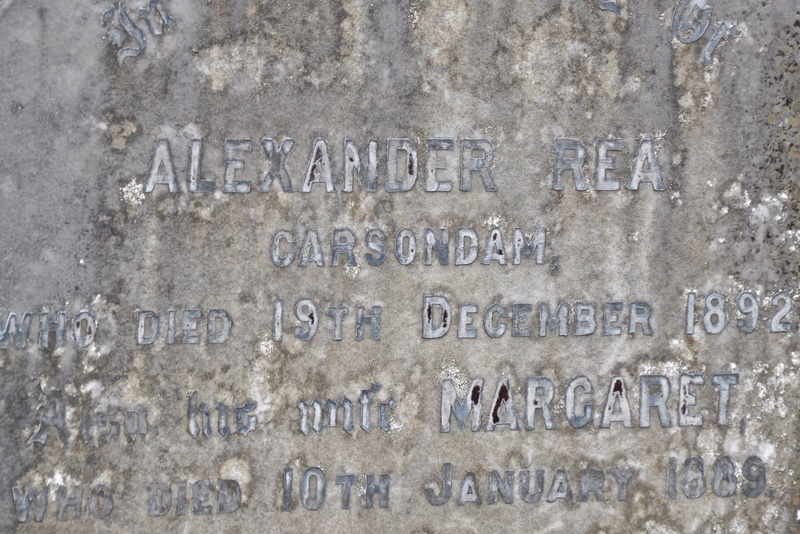 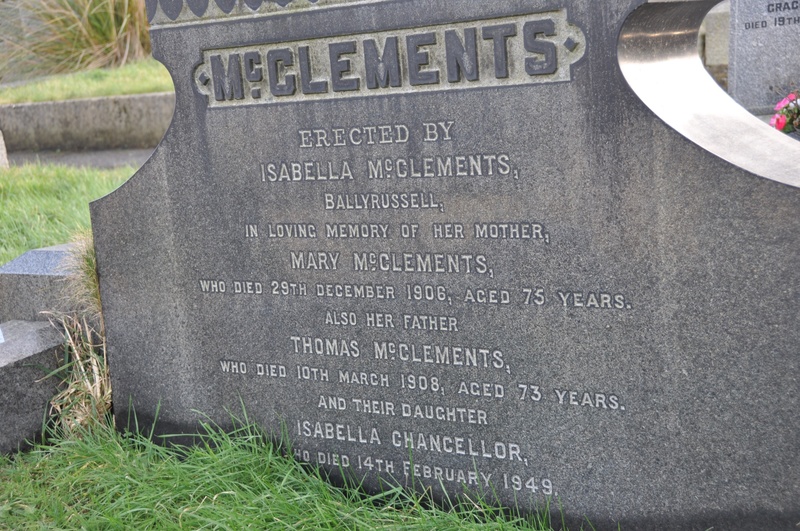 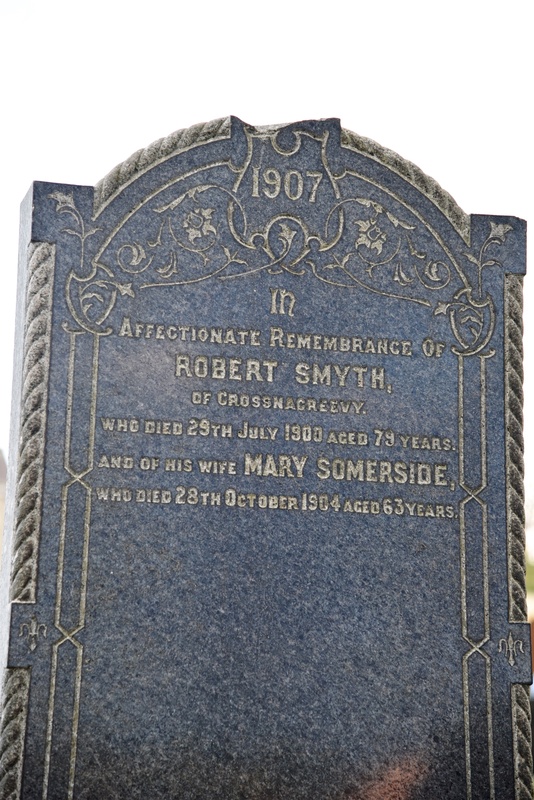 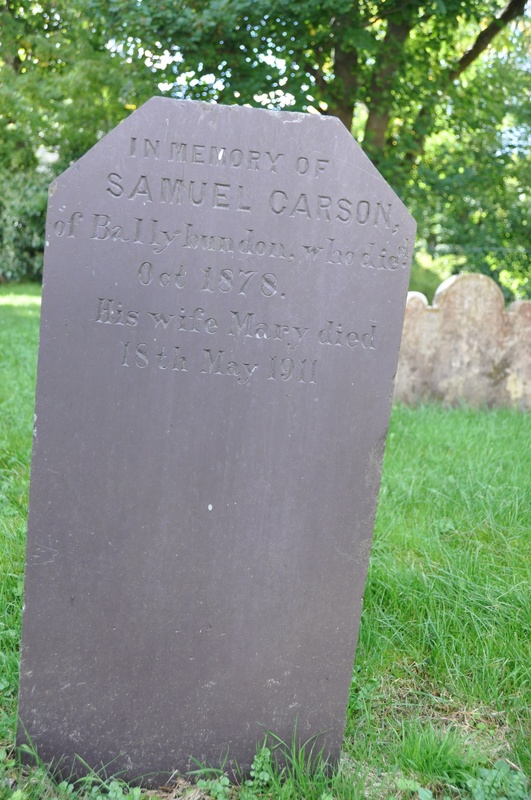 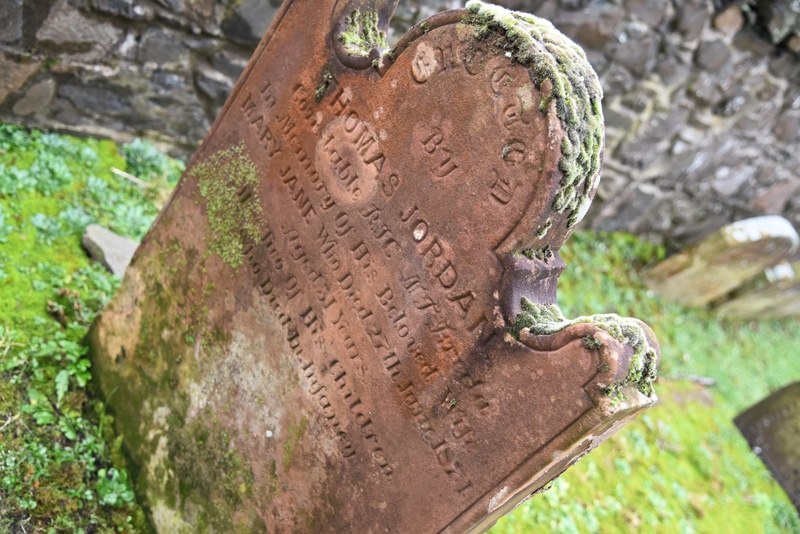 A gravestone in Killinchy for the Carson family of Ballybundon (now Kilmood & Ballybunden). 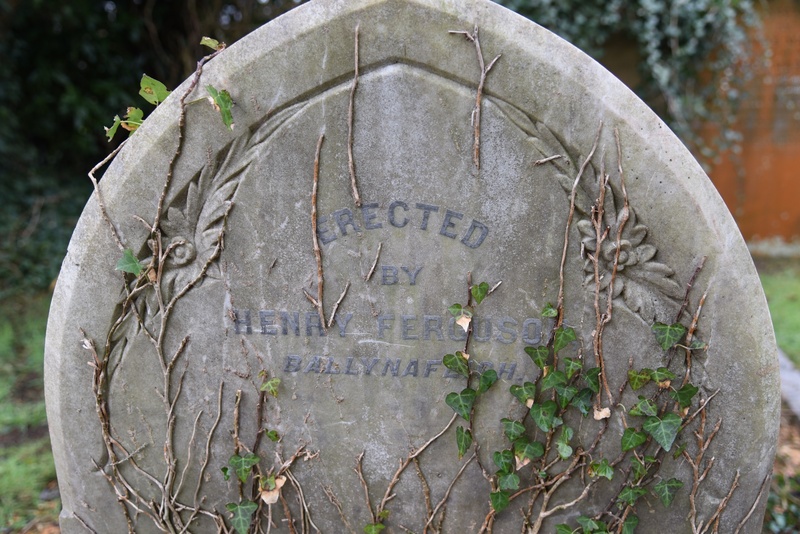 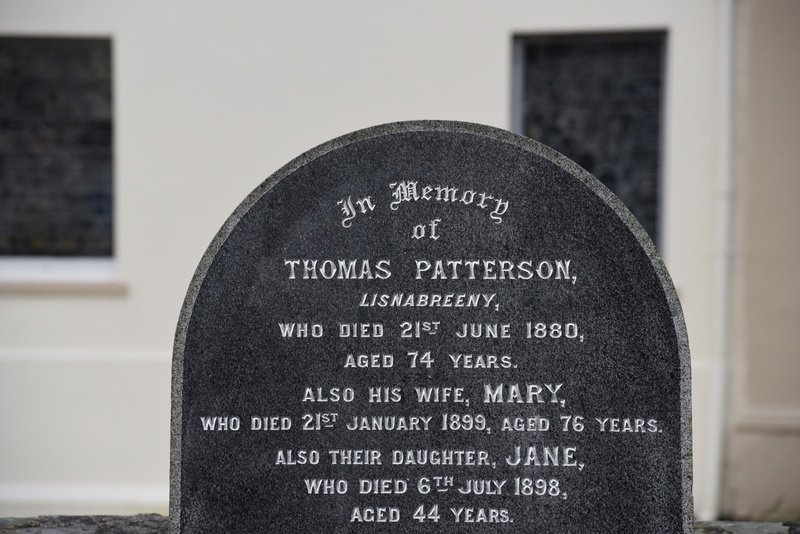 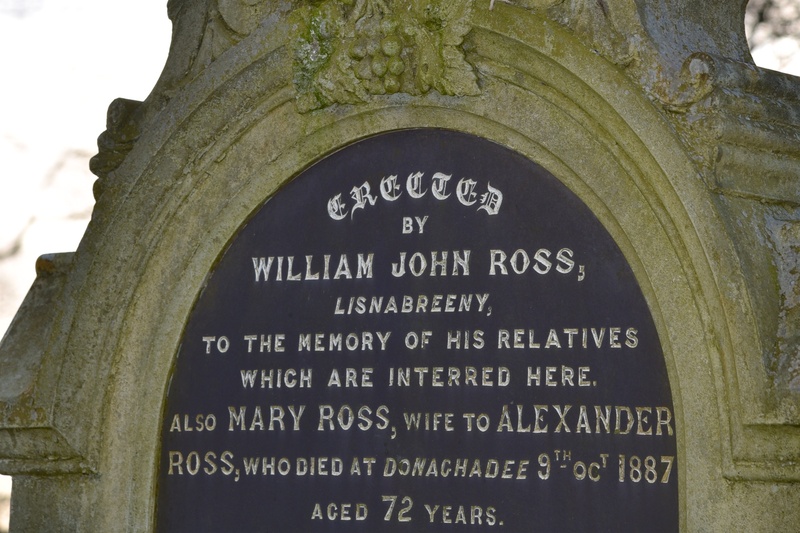 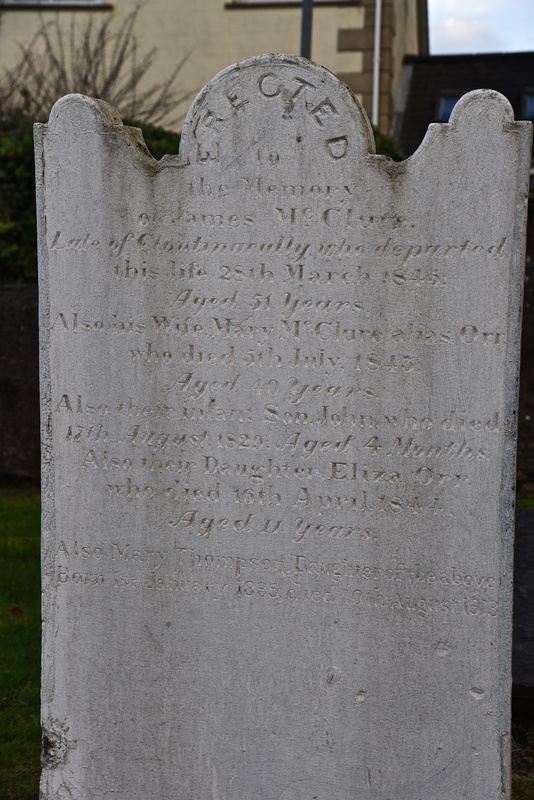 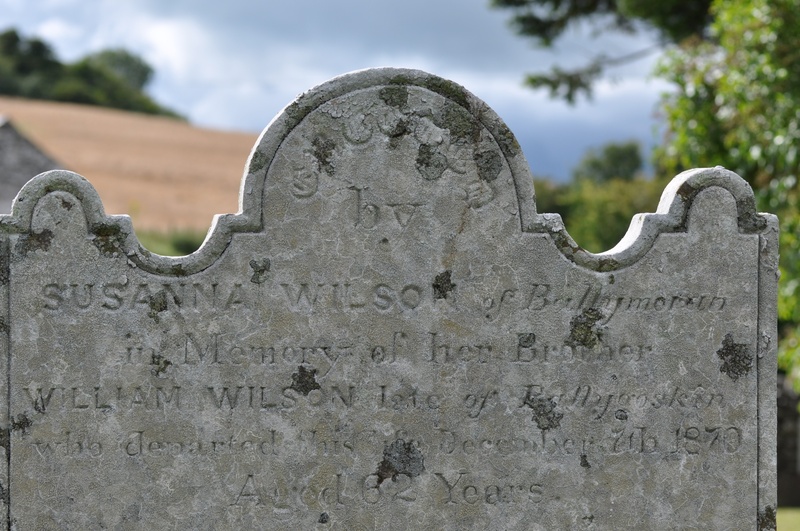 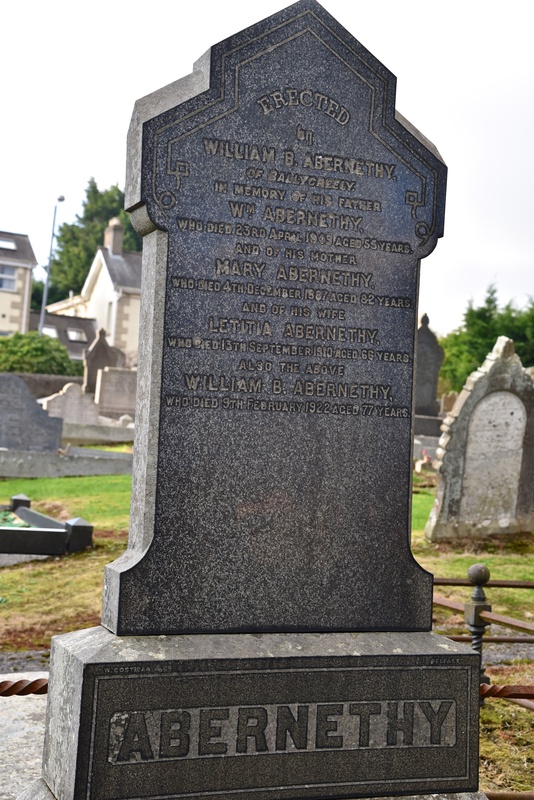 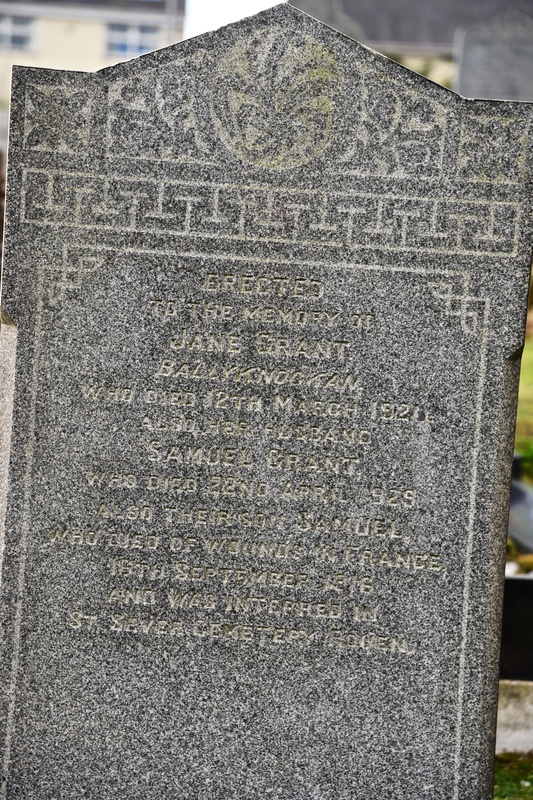 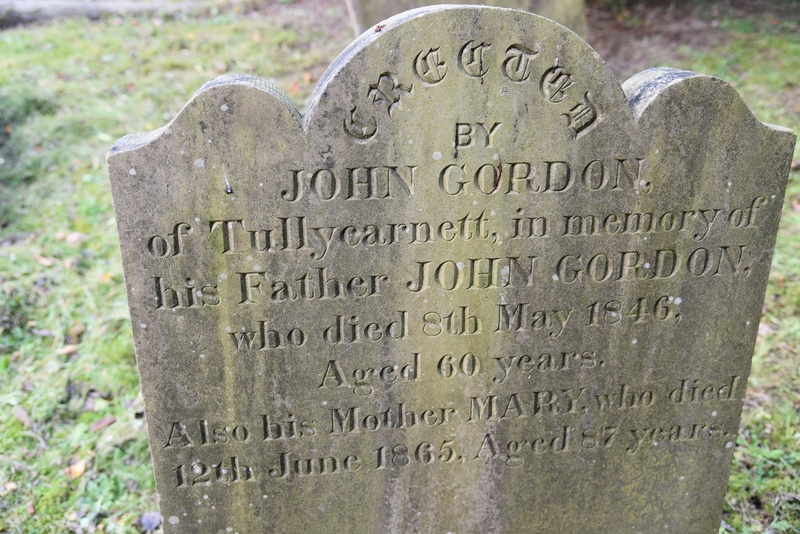 A gravestone in Killaresy for the Wilson family of Ballymorran and Ballygoskin. 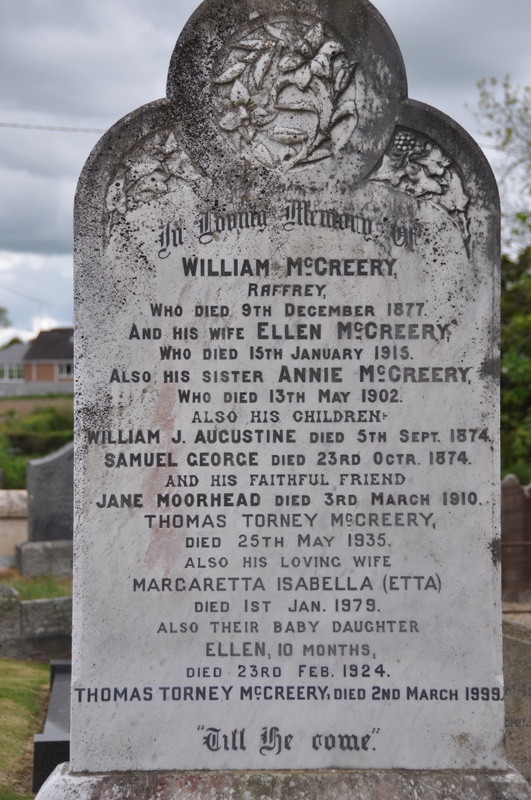 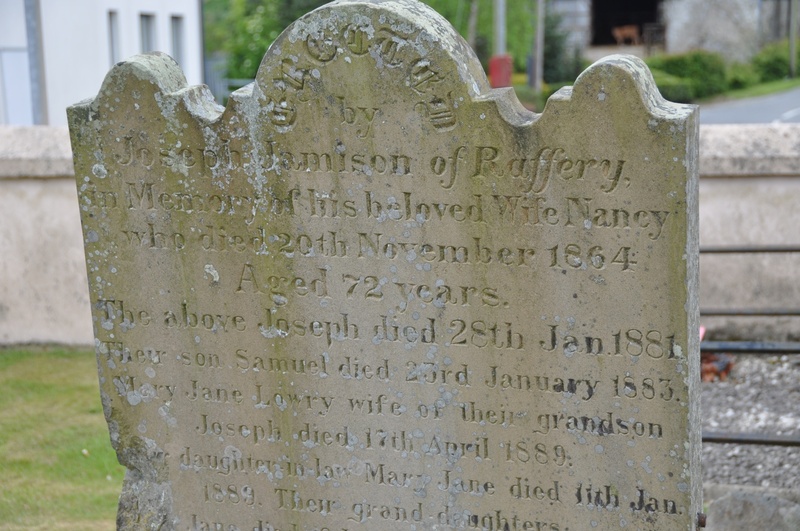 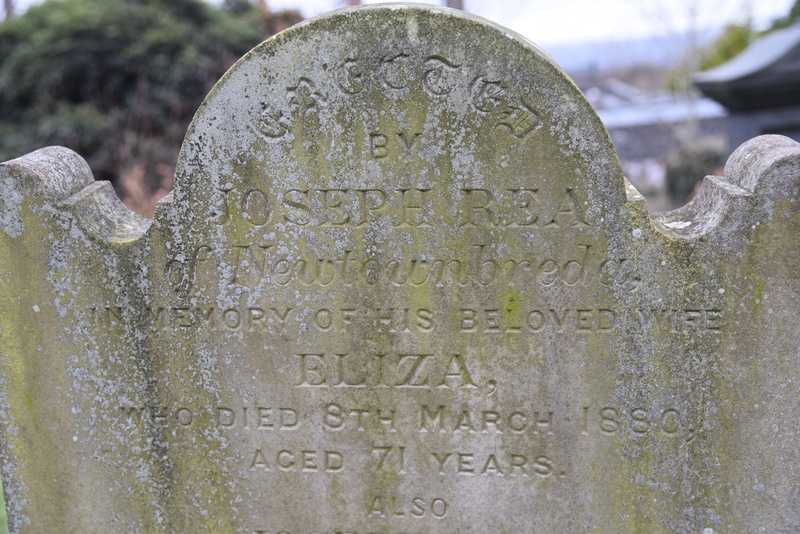 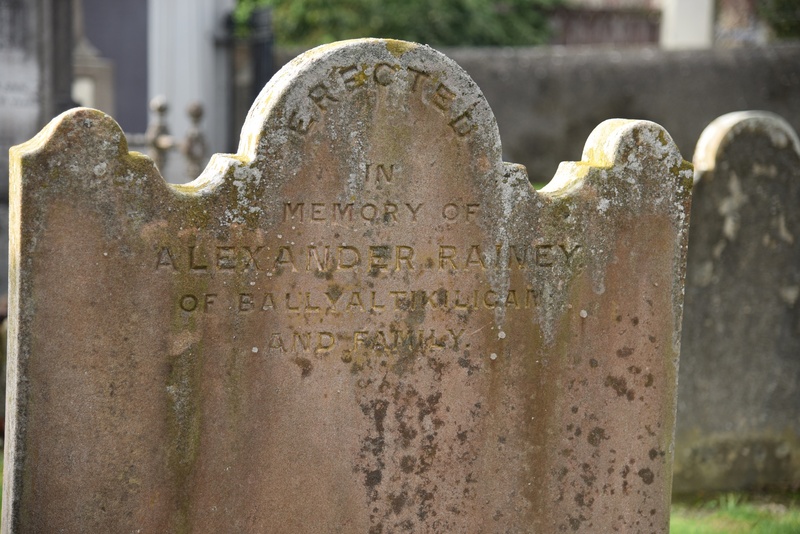 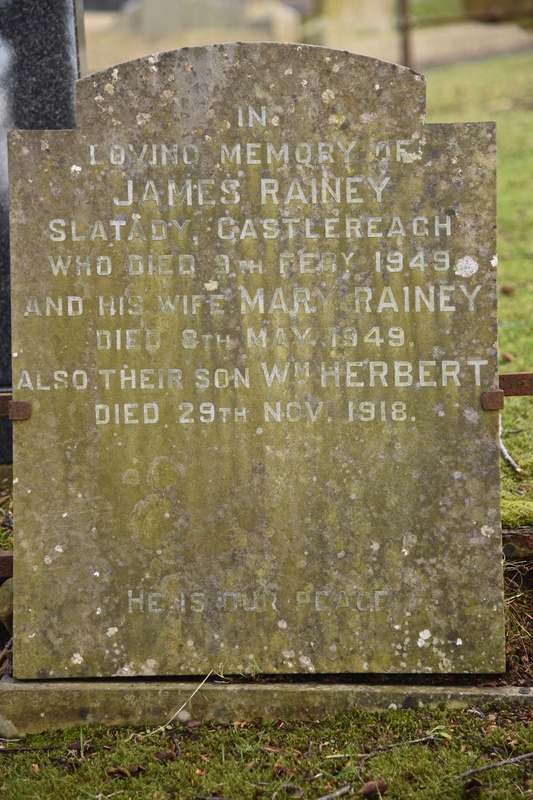 A gravestone in Raffrey churchyard for the McCreery family of Raffrey.